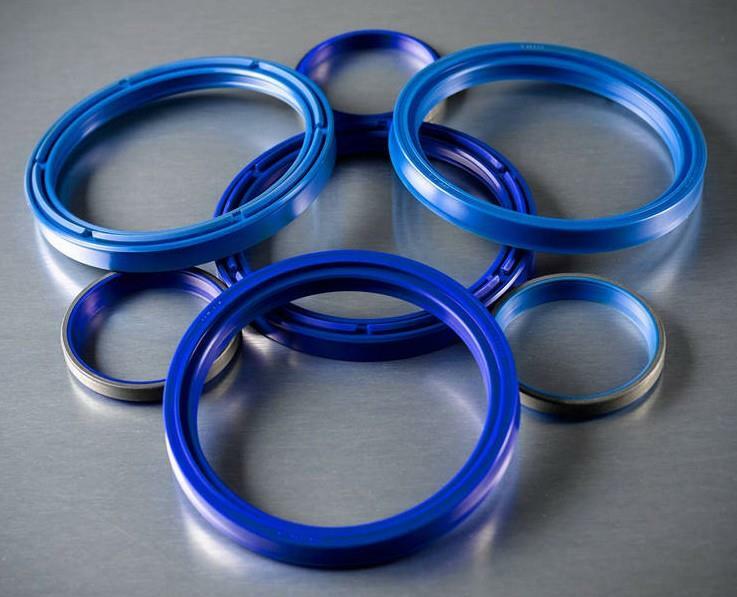 Oil Seals- LIP MATERIALS – MSO Seals & Gaskets, Inc.
Thousands of seal sizes in both INCH and METRIC sizes. 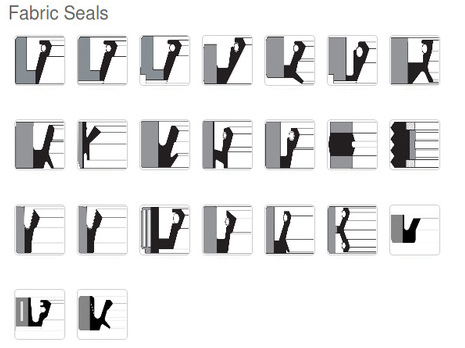 Over four million seals in a variety of case and lip styles. Over 20,000 tooled sizes available. Custom sizes available. We will manufacture new sizes according to your specifications. 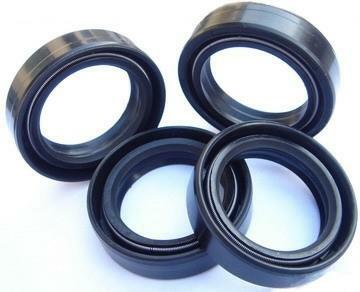 R-Nitrile Buna-N 70 -durometer compound is the standard material for seals and is recommended for the majority of common applications. Nitrile lip seals work well within a range of -40°F to 250°F temperatures and are compatible with water and most common mineral oils and greases. V-Viton®*- compounds are premium lip materials offering the widest temperature range and chemical resistance. Viton® will handle temperatures from -40° to over 400°F (-40° to over 204°C). Viton® will resist most special lubricants and chemicals that can destroy Nitrile, polyacrylates and silicones. Viton® is extremely resistant to abrasion and provides superior wear and performance. 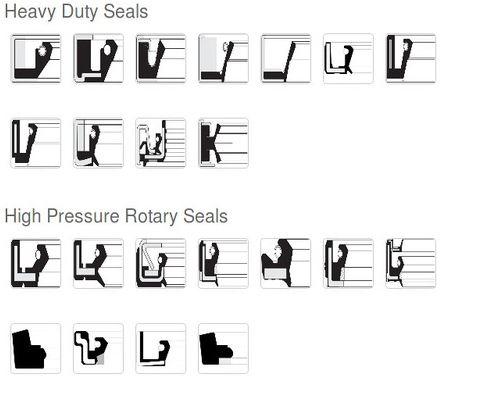 Viton® works in dry running applications, but only for intermittent periods. 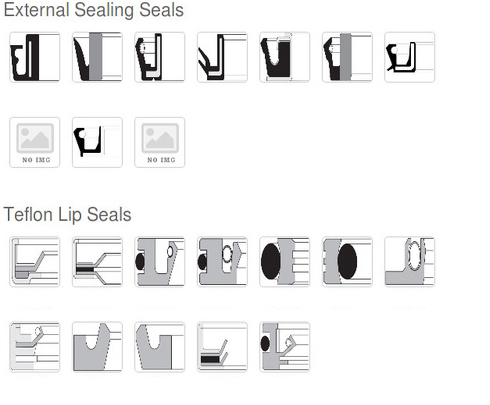 MSO Seals and Gaskets can custom machine lip seals as well as mold any lip seal you may require, Metric or Standard or special. 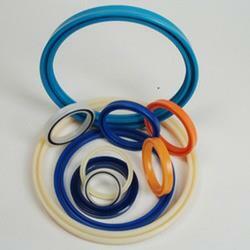 Rubber grade used include: Nitrile Rubber– This is the most widely used elastomer in current applications. Silicone Rubbers -It is particularly resistant to atmospheric agents, light and ozone. It has a good resistance to high-aniline content and petroleum oils; it can be also used with sulphurcontaining oils. SEALING LIP MATERIALS The sealing lips are made of a compound consisting of one or more basic elastomers and a series of ingredients such as reinforcing fillets, plasticizers, antioxidants, accelerators, etc. 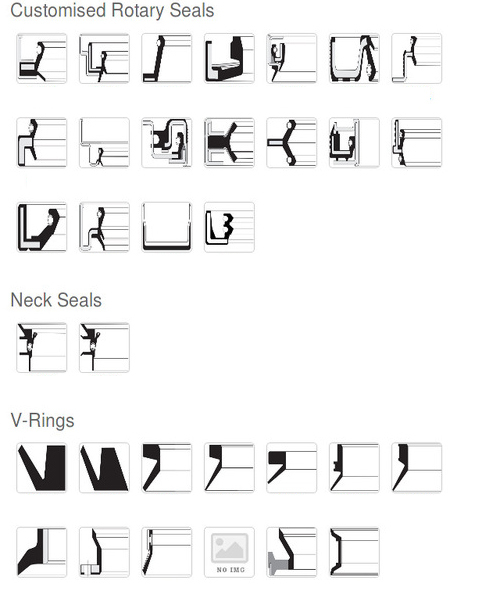 which provide the product with specific properties. 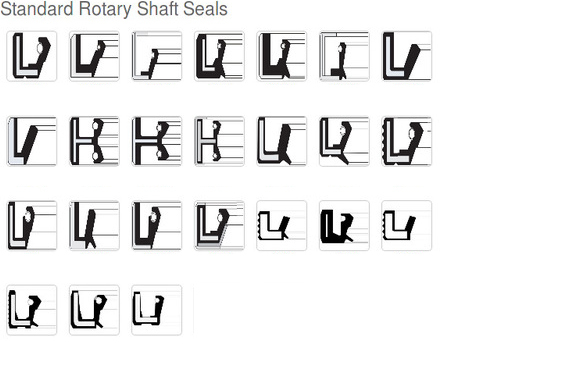 Stability when in contact with the fluid the seal is designed for stability at operating temperatures. 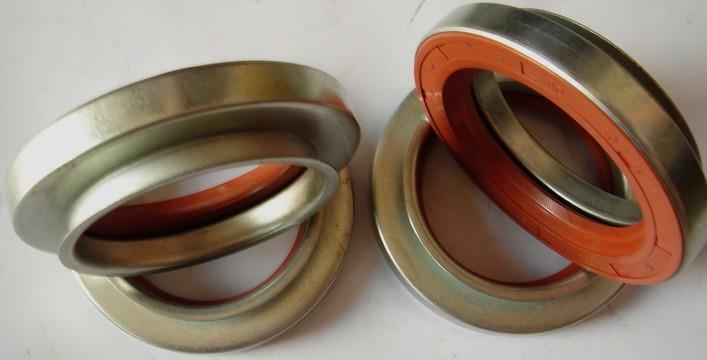 Rotary seals are use in rotating equipment like gear box, pumps, motors ect to retiaining lubrication in bearings.